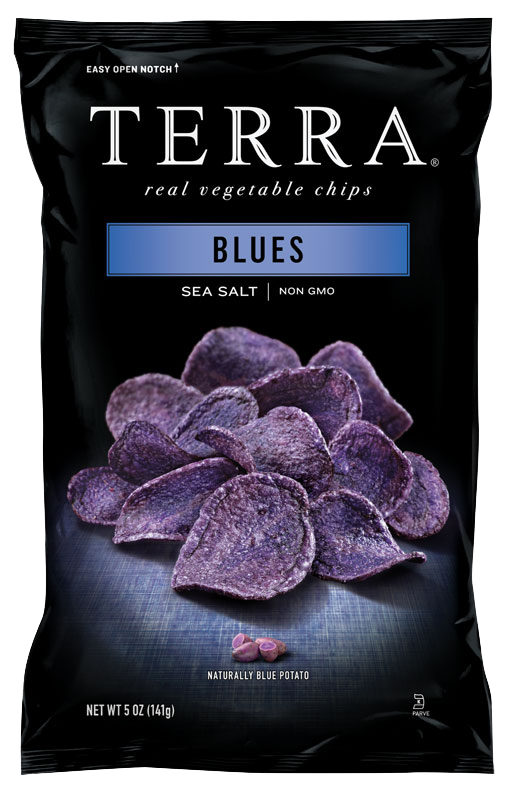 Vibrant bluish-purple in color, with a slightly nutty flavor, they’re simply unforgettable. Truly a rhapsody in blue. Ingredients: Blue potatoes, canola oil and/or safflower oil and/or sunflower oil, salt.